The current legal liability system continues to place unlimited risk on providers, exacerbates our well-known provider shortage, weakens quality control mechanisms, and drives up health care costs for the state and its citizens. 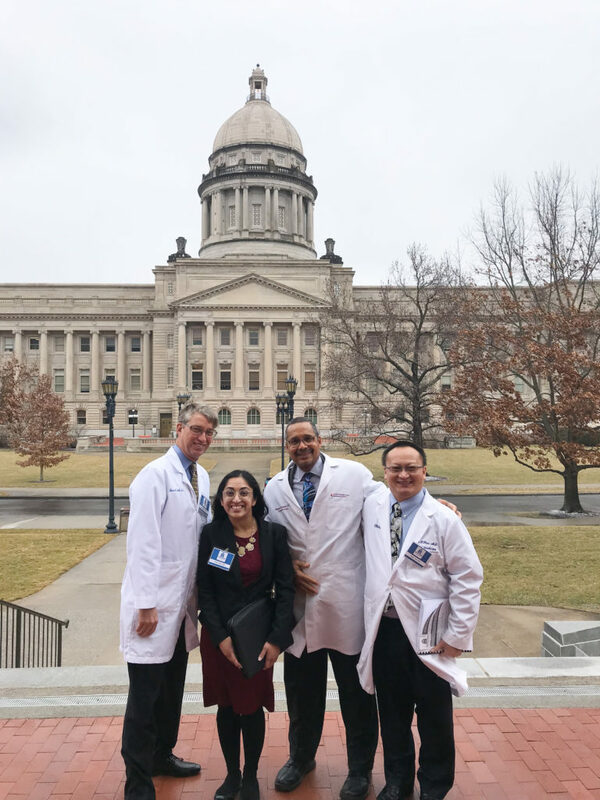 KMA, in collaboration with the Kentucky Hospital Association and the Kentucky Chamber of Commerce, looks forward to supporting legal reform initiatives in 2018 that are designed to promote more efficient health care and legal systems in addition to greater patient safety. Physicians and practice staff spend an enormous amount of time, energy, and resources performing nonclinical activities that are required by payers. While some administrative requirements are expected, the overuse of these tasks can decrease practice efficiency, prevent access to timely patient care, and increase costs for patients and physician practices. KMA will identify other administrative hurdles that inhibit care and seek legislation that will effectively remove them as barriers to patient care. Kentucky faces a number of public health challenges, including an opioid abuse epidemic and a high smoking rate. Policymakers rely on KMA as a trusted resource concerning these matters. 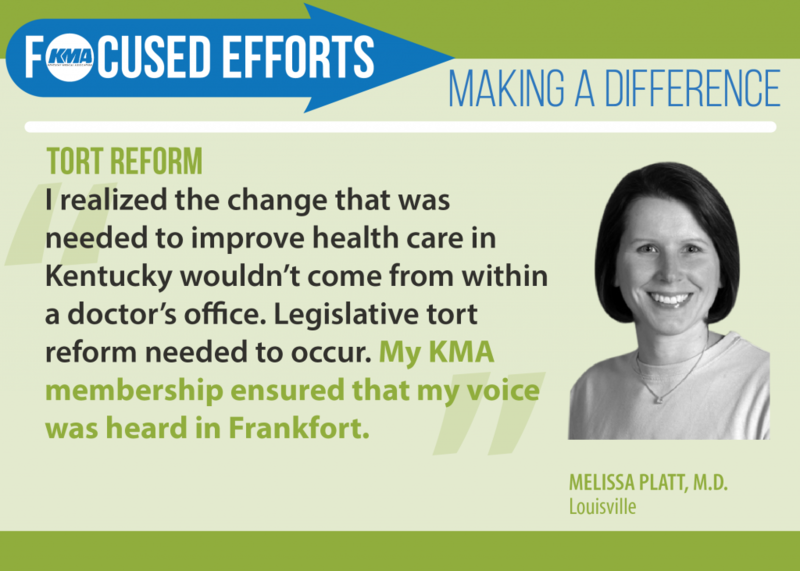 As a result, KMA once again stands ready to be a leading voice in promoting the health of all Kentuckians through advocacy and education. A downloadable version of these priorities is available here. For more information, contact Cory Meadows, KMA Advocacy and Legal Affairs Director, meadows@kyma.org.